Sinitta is best known for the 80s superhit, So Macho which took the charts by storm. With three studio albums and 26 singles to her name she has over 30 years’ experience in the entertainment industry and she still regularly wows crowds with her outstanding performances. In recent years she has also hit the headlines for being the right-hand woman of long-term friend, Simon Cowell, on The X-Factor providing. The role has seen her mentor some of the biggest stars in the world, including One Direction and Olly Murs. As well as this she has made frequent appearances on some of the UK’s biggest primetime shows such as Ant & Dec’s Saturday Night Takeaway , Celebrity MasterChef and The Jump . 1986 – Releases So Macho to tremendous success. 1987 – Her debut album Sinitta! is released with three tracks reaching the top ten. 1989 – Her second studio album Wicked is released. 2004 – Appears on The X-Factor for the first time. 2010 – Helps Simon Cowell mentor One Direction on The X-Factor . 2011 – Appears on I’m a Celebrity… Get Me Out of Here! 2013 – Features on Children in Need’s Take on Me charity single. 2016 – Appears on Ant & Dec’s Saturday Night Takeaway and Celebrity MasterChef . Starting out in musical theatre, Sinitta appeared in several West End productions including Little Shop of Horrors and Cats . Learning her trade under the guidance of Andrew Lloyd Webber, she soon made the transition from talented stage actress and singer, to become one of the most highly regarded pop singers in the UK. Her debut single Break Me into Little Pieces was released in 1983 but it was two years later when she really shot to fame. So Macho came out in 1985 and was an instant hit, reaching number 2 in the charts and selling over 500,000 copies. Several of Sinitta’s other singles from her debut album Sinitta! also charted successfully with Toy Boy and Cross My Broken Heart making it into the top ten. Sinitta’s second album, Wicked, was released in 1989 and was a huge success with the single Right Back Where We Started From reaching number 4 in the UK charts. In 2004, Sinitta found a whole new audience as she became a popular television personality when she appeared alongside her good friend Simon Cowell on The X-Factor . Helping Simon select his final three acts, she contributed to selecting the show’s eventual winner, Steve Brookstein. Over the years Sinitta has frequently appeared on the show offering her expert insight and advice to contestants. During this time, she worked with the likes of Olly Murs, One Direction and Fleur East. As well as her appearances on The X-Factor , Sinitta has appeared on a whole host of other popular television shows. In 2011 she entered I’m a Celebrity… Get Me Out of Here! which saw her face her fears and tackle tricky jungle tasks. She has also appeared on The Jump , Celebrity MasterChef and Ant & Dec’s Saturday Night Takeaway. 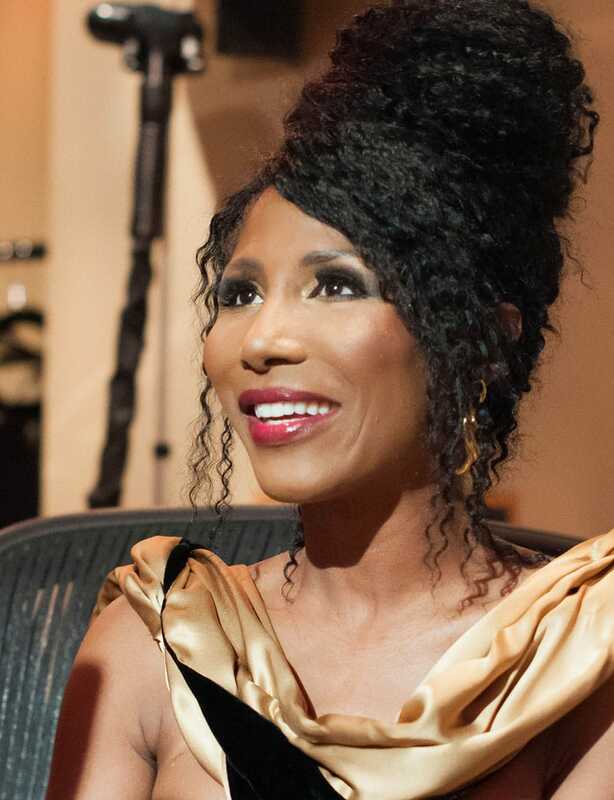 With her base of loyal fans, which she has amassed over a 30-year career, Sinitta is a great choice for brand endorsements and advertising campaigns. With an eye for fashion, a keen interest in fitness and knowledge of the lifestyle and beauty world, she is perfect for campaigns within these sectors. An incredibly hard worker with an unrivalled commitment to making it to the top, she demonstrates these qualities with every brand she works with.